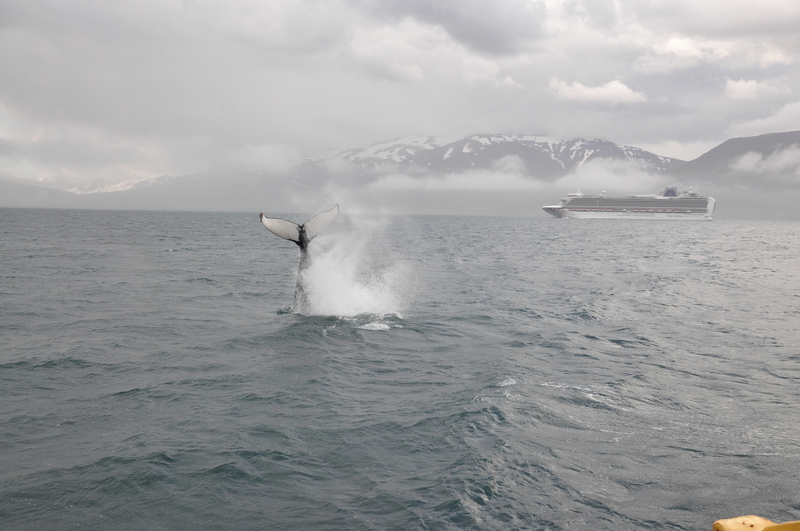 We found this amazing humpback whale in a whale watching tour from Hauganes this weekend. This humpback whale was really big and but still he did not have many scratches as the biggest ones usually have, all you could see were two scratches on the back. The whale was quite curious about what these creatures were doing dressed in yellow and red and did a lot of spyhopping and flipped on his back. He spent around 40 minutes or more behaving like this and our guide Valdi filmed a lot of it. These are the best 5 minutes of this amazing experience! The humpbacks are now staying at the same place up north and close to Hrísey so we just have to sail around 20 minutes to get to the them and they always have something new and exciting to show us, just like the one above. 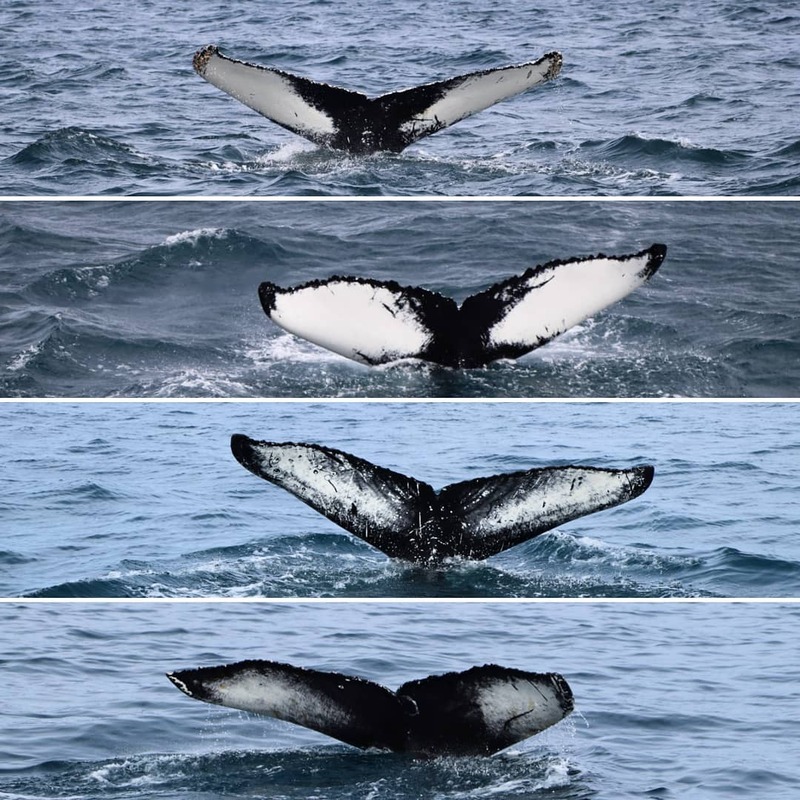 We had three tail-flipping humpback whales today (27/6/16) one in every tours! Here is a photo from Alex, one of our customers! is providing our guests and staff delicious fish dishes everyday, everything made from fresh fish that their staff catches every morning. 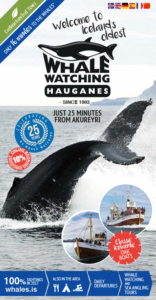 So if you want to have the whole experience of whale watching, sea angling and eating fresh fish you should visit Hauganes. Hauganes is located between Akureyri and Dalvík with only a 30 minute drive from Akureyri and 10 minutes from Dalvík. You can book a tour around Ekta fiskur, enjoy a meal at their restaurant and then you can go whale watching. If you‘re staying in Akureyri, Dalvík or anywhere in north Iceland. This is an opportunity you should not miss!